Drizzle the chicken breasts in olive oil and lemon juice. Rub with chicken rub and oregano. Panfry until golden brown and cooked through. 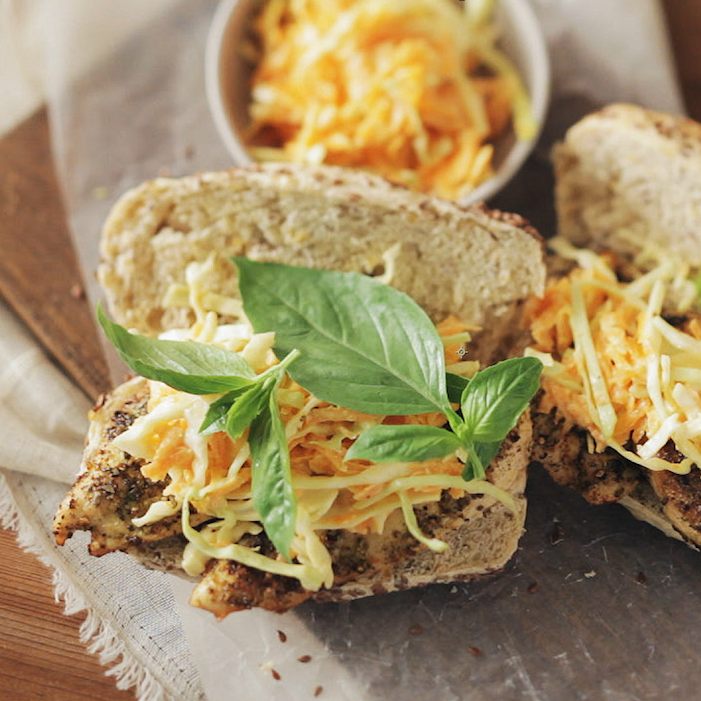 Place half a chicken breast, coleslaw and fresh basil on a seeded roll. For the coleslaw, mix together the carrots, cabbage, mayonnaise and yoghurt. Watch the “How to” video here.